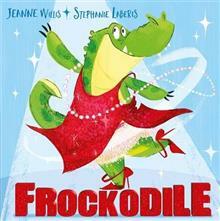 Celebrating acceptance and being who you really are, this joyful story is about Cliff, the crocodile who wants to wear a dress.When the hyenas laugh at Cliff, he pretends he's dressing up for a play. But no play exists! Luckily his friend Freddy comes to the rescue and creates a show for Cliff to star in. But what will his dad say when he sees him?A funny story about inclusion and supporting your friends and family, illustrated with exuberance by Stephanie Laberis. 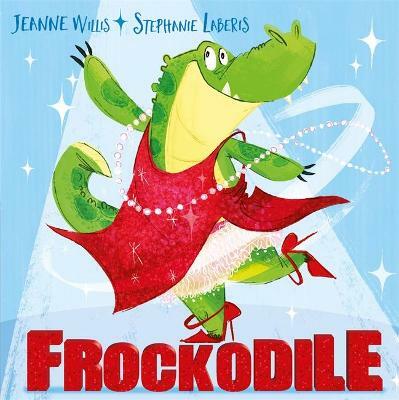 Jeanne Willis (Author) Jeanne Willis is an award-winning, internationally bestselling author, whose titles include I Hate School, I Want to Be a Cowgirl and Don't Let Go. Jeanne lives in London. Stephanie Laberis (Illustrator) Steph Laberis is a character designer and illustrator who specializes in creating art for animation & children's books. Among others, she has worked for DreamWorks TV, Hasbro, Nick Jr. and Disney Jr.